The air is thick with excitement. All 680 students from pre-K through fifth grade know the adventure is beginning. This assembly at Richmond’s Oak Grove-Bellemeade Elementary School starts everyone in the school and their families on a path filled with fun and challenges as a new story unfolds. Here, every student received a new chapter book to take home and keep. The story this time is The Lemonade War by Jacqueline Davies. In it, a young boy named Evan and his sister Jessie vie over who can sell the most lemonade. During the program, Coffey says the entire school is on the same reading schedule, while the story is reinforced in the classroom with stimulating challenges. According to Coffey, research shows children who are read to learn to read more easily and become better readers, and literacy skills provide the basis for lifetime learning and productivity. “We have noticed a change in our students’ desire to read. 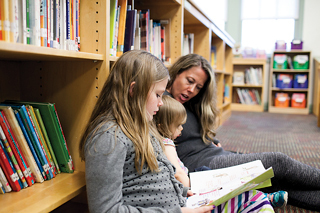 They even ask ‘When are we getting our next book?’ and ‘What are we going to read next?’” says Oak Grove-Bellemeade reading teacher Jessica Carpenter, who has expanded the program at her school to include three books in one year. Read to Them’s mission is to create a culture of literacy in every home with its One School, One Book and One District, One Book family literacy programs. 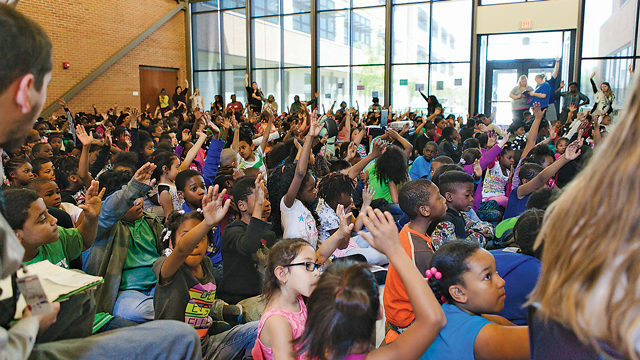 When Coffey met Gary Anderson, the founder of Read to Them, the two agreed to further develop the One School, One Book program and roll it out in Richmond through the literacy-focused nonprofit. 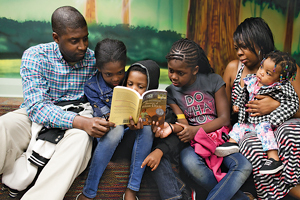 How Can Your Family Take Part in a Read to Them Literacy Program? You can help put your school in touch with Read to Them. Visit readtothem.org for more information on One School, One Book and One District, One Book. Then contact your local school, school system, or parent teacher group. A teacher can contact Read to Them to coordinate a literacy program. Then your family and all the other families in your school or district can join the excitement and adventure of sharing a book together. Previous articleWhoa, where did the summer go?! Next articleSo You’re Choosing Childcare?